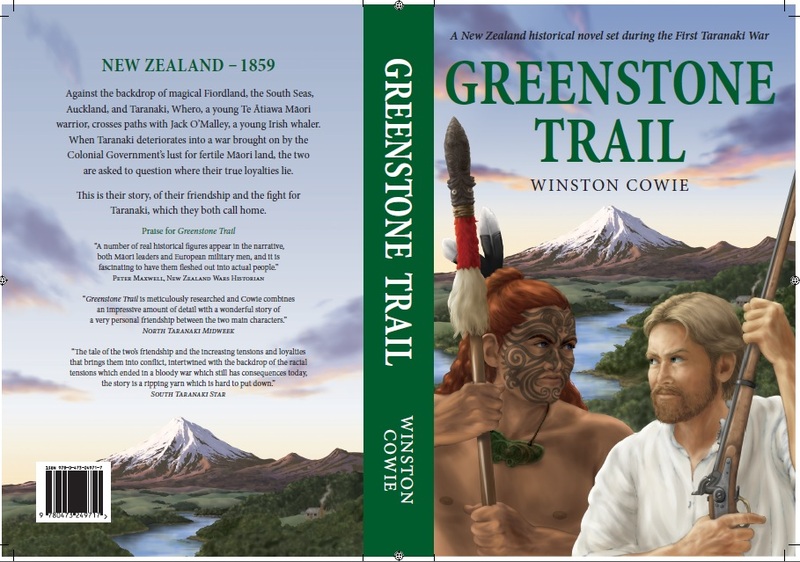 The New Zealand historical fiction novel Greenstone Trail by New Zealand author Winston Cowie, in addition to being available as an ebook on Amazon Kindle, is now available on Apple Ibooks. This means that you can download the Ibooks app for free, purchase Greenstone Trail and read it on your iPhone, iPod touch, or iPad! You can read Greenstone Trail by Winston Cowie any time, anywhere, with your idevice! How awesome is that! And to purchase Greenstone Trail by Winston Cowie from ibooks, simply type in ‘Greenstone Trail’ and you will be on your way to learning about the fascinating and largely unknown New Zealand Land Wars of the 1860s, written in an interesting historical fiction style. To booklovers in New Zealand, you can purchase one of the few original hard copies of ‘A Flame Flickers in the Darkness,’ from which the ‘Greenstone Trail’ and ‘Flames Flicker’ ebooks are based, via Fishpond by clicking here. Great for a January and February read under the pohutukawa. I am chuffed to have received the following recent reviews from fans, from New Zealand, the United Kingdom, and Germany, who have read Greenstone Trail. “History buffs will enjoy the genuinely well researched scenes in which the story plays out, covering the First Taranaki War, the Invasion of the Waikato, events on the Chatham Islands and The Second Taranaki War. Cameo appearances by characters such as Tawhiao (the second Maori king), Gustavus von Tempsky, and Governor Grey give the story a fascinating edge, and bring the struggles, successes, and some critically important moments of New Zealand’s early settler history to life. More reviews can be viewed at the reviews page. Please feel free to send me your thoughts on my novels, via the ‘Reviews’ page. I would love to hear from you.